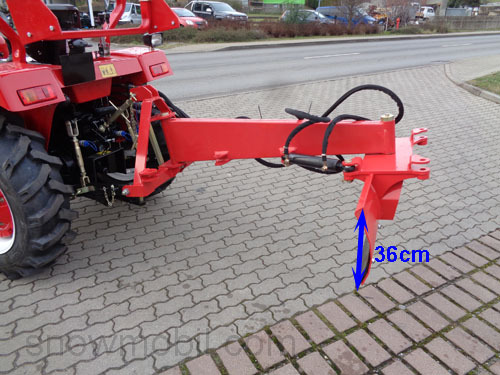 you save 9 % / 101,00 EUR 19 % VAT incl. 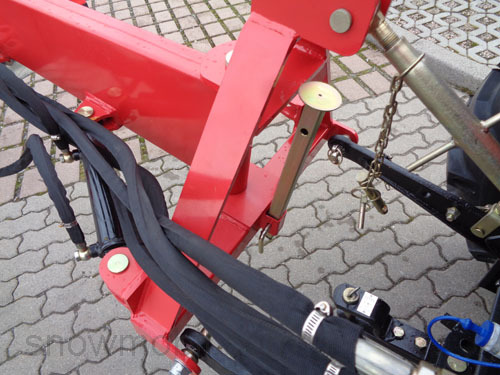 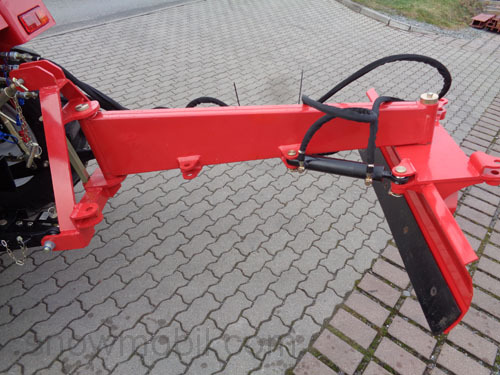 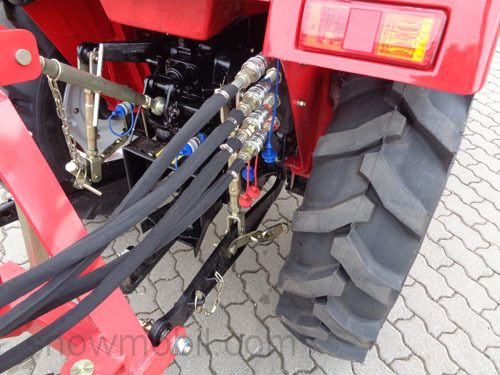 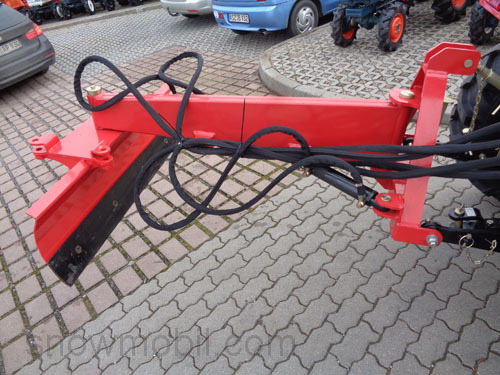 The tractor should have a rear three-point linkage KATI. 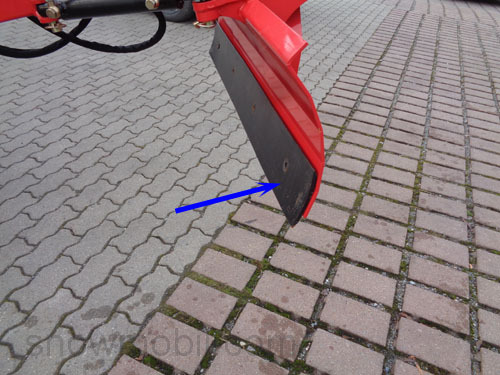 The Snow plow can be used for snow removal and clearance as well as for smoothing uneven surfaces. 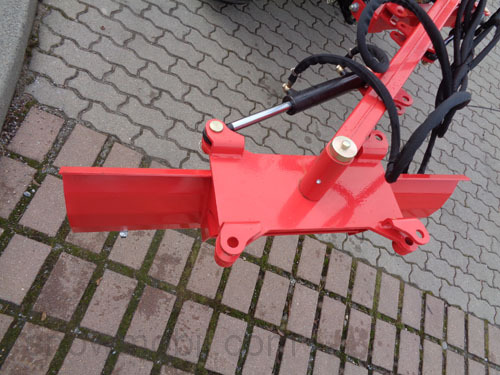 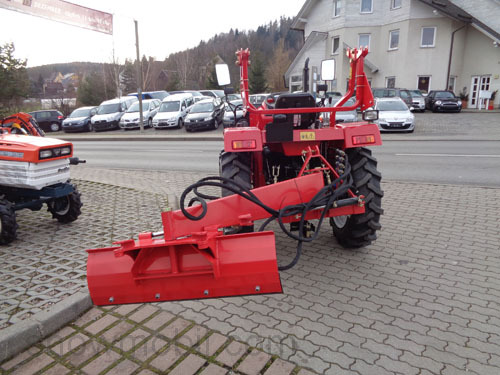 It is hydraulically lateral adjustable, has a strong steel scraper, very stable processed and is powder coated red. 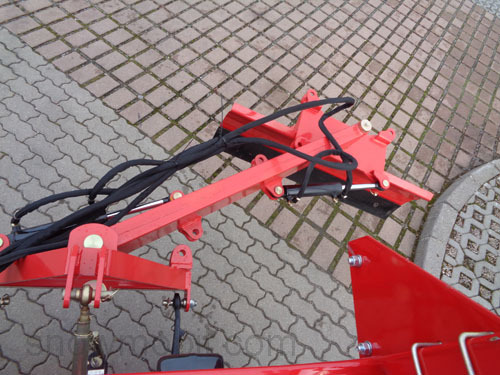 The arm and the blade can be pivoted hydraulically. 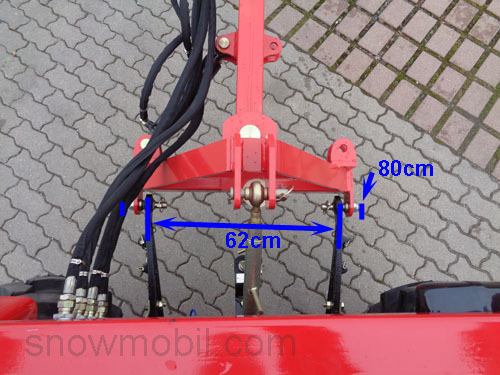 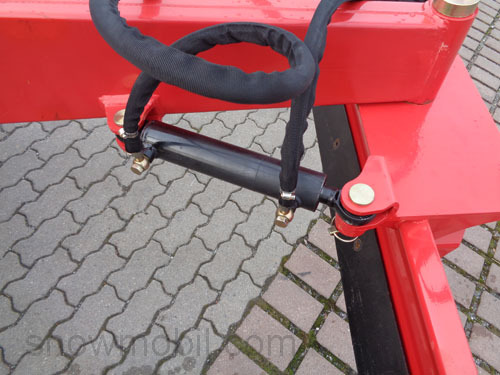 The cylinder can be mounted right or left to the snow plow according to pivoting direction. 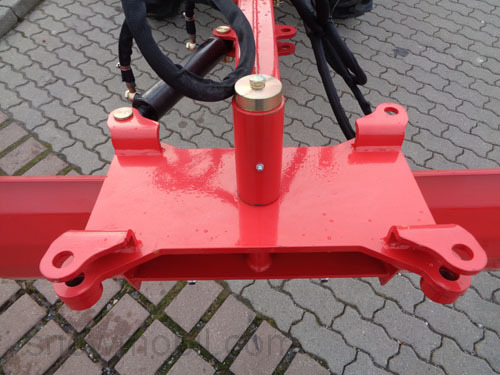 The snow plow blade can be pivoted hydraulically in any position, whether it is used to push or pull. 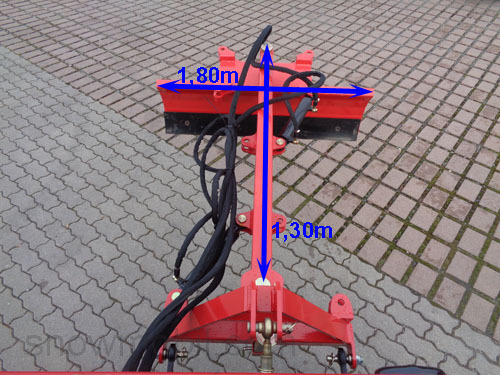 Only the cylinder must be repositioned.